Your vehicle will be taken care of from the moment it rolls into the bay until it rolls back out on the road. Keeping your vehicle in great condition often means routine care. At Forsyth Auto Care, we have just the services you need to maintain a safe and efficient car on the road in Winston-Salem, North Carolina. We understand that you need a great car care center where you feel like your vehicle will be taken care of from the moment it rolls into the bay until it rolls back out onto the road. We are proud to say we will do just that. Our vehicle tune-up services are so much more than just basic oil changes, although we can certainly provide this service. 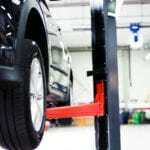 We also offer comprehensive solutions for your vehicle when you need routine servicing. New Vehicle Maintenance – When you’ve purchased a new vehicle, it’s important to make sure you keep up with the initial maintenance because that is what will keep your car running its best for the long haul. We’ll take care of your new car so that it is as good under the hood as it is on the exterior. Safety Inspections – The state and federal government require safety inspections for all vehicles. We’ll be happy to provide annual safety inspections on all of your vehicles to ensure that you are safe on the road and that you meet safety and emissions requirements. Routine Servicing – Sometimes a vehicle tune-up means an oil change, wheel alignment and interior detail. We can do all of those things to keep your vehicle looking and functioning its best, inside and out! At Forsyth Auto Care, we’re proud to say we offer excellent vehicle tune-up services in addition to our personalized service. If you’re looking for the right car care center, come on by or give us a call today. Or just schedule your appointment directly from our website. Either way, we look forward to working with you. We like to get to know our customers by name here at Forsyth Auto Care! Contact us today to see how we will make your auto repair experience in Winston-Salem, North Carolina a great one.